We’re living in a new email world. Gone are the days when marketers could blast out emails to randomly purchased bulk lists, just hoping something would stick. Spam and undesirable commercial email have become a large enough issue that Internet Service Providers (ISPs) like Google and Yahoo have been implementing new rules to crack down on the problem. *Note: ‘Spam’ has officially become a marketing automation curse word, so please excuse my language throughout this article. These changes are geared at making the inbox a secure place where people aren’t being constantly bombarded with things they don’t want. Furthermore, they ensure that poor-quality senders are held personally accountable. It’s important to note that it’s the ISPs – not marketing automation platforms like SharpSpring or HubSpot, or Email Service Providers (ESPs) like Gmail or Outlook – that ultimately dictate which messages will be delivered to the inbox. So what does all of this mean for your business? 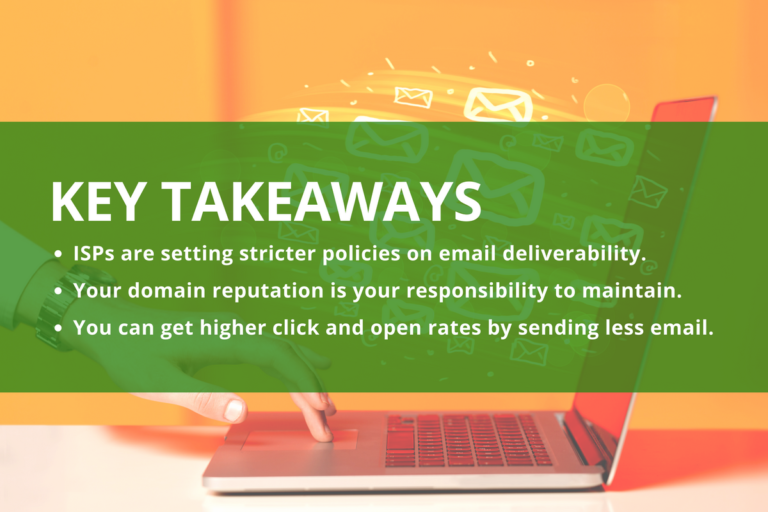 When evaluating emails for deliverability, ISPs are no longer focused solely on the sender’s IP address. Instead, ISPs now track your individual domain (i.e., “yourcompany.com”), and they use key performance metrics – hard bounces, soft bounces, engagement rates, spam complaints, and more – from your past email sends to determine whether your next email will land in the inbox or the junk box. Any bulk send from an email address tied to your company’s domain can affect your domain reputation. The most important thing to remember when it comes to your domain status is that your reputation is yours. 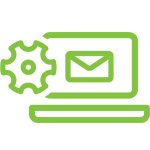 While companies like SharpSpring are eager to help marketers succeed with email marketing, we can only do so much. If you don’t follow the new rules of the road and continue to spam people (intentionally or not), you’ll just keep doing more damage to your domain reputation. Think of your domain status like credit – no matter where you go, your credit score follows you. Domain reputation works the same way. Even if you switch marketing automation platforms or hop from one ESP to another, they will eventually figure out that you aren’t following deliverability best practices, and you will be blocked. The ISPs demand it. Now keep in mind, while these changes might seem like an attack on email marketing, email is still far and away the most cost-effective method to reach customers and prospects. The answer is engagement. That’s right. Email engagement is now one of the most critical metrics for email marketing. Engagement is measured by factors such as open rates, click-through rates and visits to your website. Basically, after you propose to a lead, you need to keep that lead interested in you until they’re all the way down the aisle, standing at the altar, and the deal is done. One of the biggest problems is that nobody complains about spam anymore… or even bothers to unsubscribe. If you keep sending to people who don’t want your emails, and if they’re not unsubscribing or flagging it as spam, you’ll just be doing damage to your domain – and it will catch up with you. Eventually, the ISPs will start filtering your emails into junk and promotional folders, so your recipients – including the ones who do want your content – won’t see your messages at all. Now, ISPs are insisting that you strip out the non-interested people and send only to highly engaged contacts. While this may sound painful, it is vital for preserving your domain reputation, and it will allow you to communicate with the right leads for your business. It will also allow you to give your boss (or your clients) the stats they want to see – more clicks and higher open rates. According to Forrester, 82% of businesses use email to deliver their marketing messages, making it the most popular option in marketers’ toolboxes. However, only 37% of marketers said they are integrating personalized content with their marketing automation strategy. It’s the most highly used tool, but many businesses aren’t leveraging it to its full potential. That’s why SharpSpring is creating new functionality to help marketers easily see who is engaging with them and who isn’t. Better yet, SharpSpring will soon allow you to automatically filter out unengaged leads when you’re sending an email. This way, there’s no need to spend hours combing through old spreadsheets or thinning out your contact lists manually. Unengaged leads will be automatically suppressed from future sends until they decide to re-engage with you. According to industry best practices, an unengaged contact is someone who has received 12 emails from you but has not clicked or opened any of those emails. It’s like a countdown from 12 to zero, and once a lead gets to zero, you’re officially on a break and the engagement is off. But don’t fret! Unengagement is not a permanent status – you can still win them back. If at any time your contacts come back to visit your website, their engagement scores in SharpSpring will jump back up to three, putting them back on your list so you can communicate with them again. You can also send a re-engagement email once a year with targeted content to entice leads to engage with you again. That’s right – the embarrassing second proposal. But hey, they could say yes at the click of a button. So the best way to avoid spamming is simply by keeping people engaged, and there are several key strategies that can help you do this. Sending targeted, quality content is the first step. Highly engaging emails and witty subject lines are important tactics to get contacts to interact with you. Make sure to segment your lists for increased targeting. When you’re sending an email, take a step back and think about what you’re really trying to say and who you’re trying to say it to. Is it something you need to send to all of your contacts? 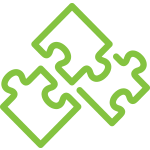 Fortunately, marketing automation provides you with innovative features to ease this process. You can send a single email to a large list, but use dynamic content to customize the message to individual contacts based on buyer personas. Take it a step further and create a dynamic landing page to expand upon your email. When contacts click on an email, point them to more personalized content to keep them coming back. In a recent Ascend2 survey, marketing agencies said that creating email-specific landing pages is the most effective strategy in keeping their lists top-notch. Lastly, use caution when emailing marginally engaged contacts. If they haven’t interacted with you over the past few emails, it might be time to switch up your strategy. What’s the point of sending people repeated emails if they’re never even reading them? You want your brand (and your clients’ brands) to be at the forefront of the target market’s mind. An unopened email isn’t doing anyone any good. By following these guidelines, you will achieve more engagement by sending less email. It’s a proven fact: click and open rates increase when you’re sending to a smaller, targeted list of engaged recipients, rather than a large number of unengaged recipients. Who wants to stay in an unrequited romance anyway? Plus, you just never know when those unengaged leads might come crawling back.